“Astronomers always knew they were missing some fraction of the galaxies in Lyman-alpha surveys, but for the first time we now have a measurement. 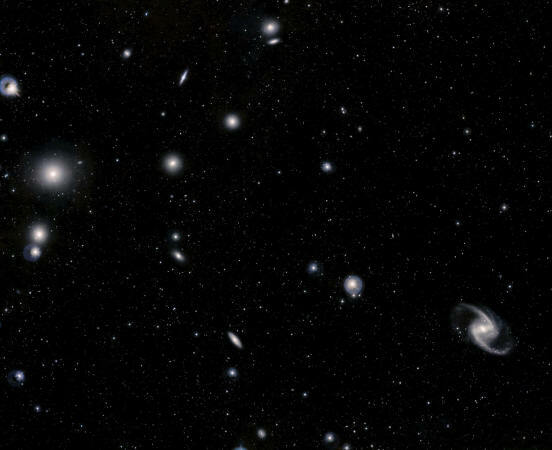 The number of missed galaxies is substantial.” So states Matthew Hayes in a recent press release from the European Southern Observatory (ESO) in Paranal, Chile. According to ESO, astronomers have not been able to see most of the light from what they call "the earliest days of the Universe" because specific frequencies that are used in their surveys are absorbed by the galaxies emitting them. Therefore, their galaxy counts are most likely off by a significant factor. What that factor is has not been known until now, ESO investigators claim. The hydrogen atom is composed of one electron orbiting a single proton. That one proton forms the hydrogen atom's nucleus. Since a proton's mass is 1836 times greater than an electron, the majority of a hydrogen atom's mass is contained in the nucleus. Quantum physics states that an electron's orbit must abide by a wave function that fits into its orbital circumference: the “principal quantum number.” Mathematical calculations use the value n = 1 for the smallest radius, with n = 2, n = 3, and so on as the orbit increases. Those radii must also rise and fall in discrete steps. As quantum mechanics theory posits, since electrons are negatively charged they are attracted to nuclear protons by a force called "binding energy." 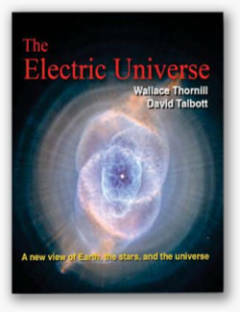 Each "n" orbit possesses its own binding energy value expressed in "electron volts." The closer the electron is to a hydrogen atom's proton nucleus, the greater the binding energy. As an electron falls from an orbit with a higher binding energy to an orbit with lower energy (n2 to n1 for example), it emits light at a specific ultraviolet frequency. Light from the n2 to n1 jump corresponds to 121.6 nanometers and is called "Lyman-alpha" radiation, named for Theodore Lyman, who first discovered it in 1906. The gravitational force exerted by this unseen and undetectable material is said to sustain not just our galaxy, but all galaxies. 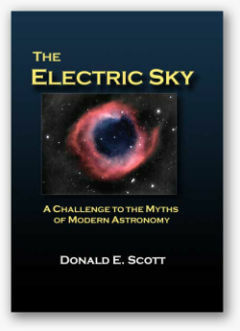 Conventional theories propose that the "big bang" brought all matter and energy into existence, including dark matter. Every modern cosmological theory has the big bang at its core. For many years, investigators tried to reconcile the lack of mass, particularly in galaxy clusters, with the expansion of the Universe and the acceleration of that expansion. It has been stated many times in these pages that dark matter is an unnecessary theory if electrical phenomena are taken into account. Stellar ages and the "age of the Universe" are also seriously compromised when astronomical investigations presuppose that their images represent objects whose H-alpha emissions have been traveling through the cosmos for 10 billion years. Big bang cosmology sets modern science on a path that leads to misapprehension. Around the galaxies will be slowly fluctuating Birkeland filaments, causing mass density variations that might be interpreted as gravitational effects. Intergalactic plasma will create magnetic fields as the current flows, interconnecting each galaxy with its neighbor and forming electrical bridges between them. Double layers will form in the plasma as electric charges isolate themselves from one another. 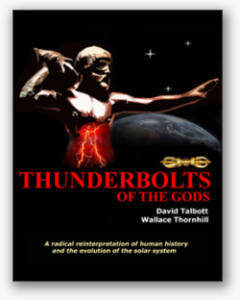 They may break down if too much current flows in the circuit, causing intense discharges commonly called "supernovae." Around the galaxies will be toroids, or rings of charged plasma, that shine in extreme ultraviolet, X-ray, and gamma ray light.